Self-regulation (SR), an important construct within the psychological well-being context, involves the ability to monitor behaviour, to contrast it with reference values and to introduce adjustments where necessary. A lack of validated measures of SR in the South African context has contributed to the current caveat in our knowledge of the potential importance of this construct. 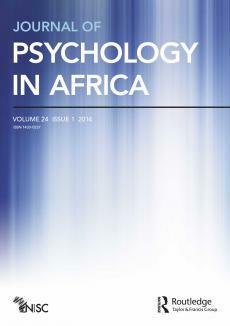 This investigation aimed to establish the utility of the Short Self-Regulation Questionnaire (SSRQ; Carey, Neal & Collins, 2004) in a South African context. This short version of the original Self-Regulation Questionnaire (SRQ; Brown, Miller & Lawendowski, 1999) was completed by a group of 385 undergraduate psychology students. Factor analysis produced 7 factors, all of which showed significant positive correlations with other measures of psychological well-being. This first step toward establishing the importance of SR in non-Western cultures reflected positively on the potential use of the SSRQ in large epidemiological studies.